Wash and peel the cucumbers, and grate them very well. Smash the grapes very well. You can use a smasher. Take the curd in a bowl and whisk to smooth it. 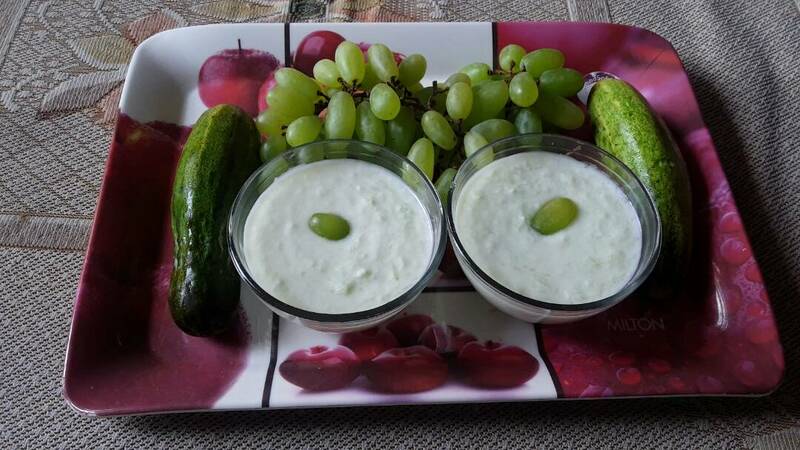 Add the grated cucumber, smashed grapes, chat mashala, salt and sugar to the curd and whisk very well. Your Raita is ready now. Keep it in refrigerator for few minutes and serve. My Tip: You can add some black-pepper powder to get a sizzling taste.